Irena Sendler was born in Poland in 1910, in Otwock a town some 15 miles southeast of Warsaw. 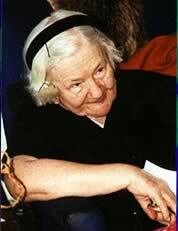 Her father, Stanislaw Krzyzanowski, a doctor whose patients were mostly poor Jews, was an activist of the Polish Socialist Party (PSP). His ideas were a great influence for the young Irena who studied Polish literature, she was part of the leftist Union of Democratic Youth, participated in protests against a ”desk ghetto” in lecture halls and finally she joined the PSP. Irena worked as senior administrator in the Warsaw Social Welfare Department that ran the canteens of the city, when Germany invaded the country in 1939. Due to Irena, the canteens not only provided food, financial aid and other services for orphans, elderly, and poor but also clothing, medicine and money for Jewish families. To avoid inspections, they were registered under fictitious Catholic names and they were reported as patients suffering highly contagious diseases such as typhus or tuberculosis. But in 1942, with the designation of a closed area to herd Jews, known as the Warsaw Ghetto, the families could only wait for a certain death. Irena was so appalled by the conditions in which the Jews were living, that she joined the Council for Aid to Jews, Zegota, organized the Polish underground. The young women were one of the first recruits to rescue Jews. At that time, 5.000 people were dying a month from starvation and diseases. Irena managed to get a pass from the Warsaw Epidemic Control Department to be able to enter the ghetto legally. She visited it daily with the aim of reestablishing contacts, bringing food, medicines and clothes. She wore a star armband as sign of her solidarity to Jews. Persuading parents to separate from their children was a horrible task for Irena, a young mother herself. ”Can you guarantee that they will live?” Irena recalled the distraught parents asking. But she could only guarantee that they would die if they stayed. ”In my dreams, I can still hear them cry when they left their parents”, she said. It was not easy to find families who wanted to shelter the Jewish children either because of the risk to their own lives. She started to smuggle children in an ambulance as victims of typhus, but also in gunnysacks, garbage cans, toolboxes, loads of goods, potato sacks, coffins… any element transformed into a way of escape for Irena. Other methods included a church with two entrances, one opened into the ghetto and the other opened into the Aryan side of Warsaw. Children entered the Church Jews and exited as Christians. Irena could recruit at least one person from each of the ten Centers of the Social Welfare Department. With their help, she issued hundreds of false documents with forged signatures, giving the Jewish children temporary identities. It was easier to escape the ghetto than to survive the Aryan side. The rescue of a child required at least the help of at least ten people. Children were the first taken to units of caring service (pogotowie opiekuncze) and later to a safe place. Later they were led to houses, orphanages and convents. ”I sent most of the children to religious establishments,” she recalled. ”I knew that I could count on the Sisters.” Irena also had a great cooperation to locate the older ones: ”No one ever refused to take a child from me,” she said. Irena kept record, in coded form, of the children and their true identities. The only record of their true identities was kept in jars buried beneath an apple tree in the neighbor’s back yard, across the street from the German barracks. She hoped she could someday locate the children and inform them of their past. Finally, the Nazis became aware of her activities and on October 20, 1943 she was arrested and imprisoned by the Gestapo. Though she was the only one who knew the names and addresses of the families sheltering the Jewish children, she withstood the torture and she refused to betray any of her associates or the children in hiding. Her feet and legs were broken but no one could break her spirit. Irena spent three months in the Pawiak prison were she was sentenced to death. While she awaited execution a German soldier took her to an ”additional interrogation”. Once they were outside he shouted in Polish ”Run!” The next day she found her name on the list of the executed Poles. Zegota members had managed to stop the execution by bribing the Germans. Irena continued working under a false identity. At the end of the war, Irena dug up the jars and used the notes to find the 2.500 children she had given to adoptive families. She reunited them with their relatives scattered across Europe, but most of them had lost their families in Nazi concentration camps. The children only knew her by her code name Jolanta. But years later when her picture appeared in a newspaper after she was awarded for her humanitarian deeds during the war ”A man, a painter, telephoned me,” she said, ”I remember your face, it was you who took me out of the ghetto.” ”I had many calls like that”. 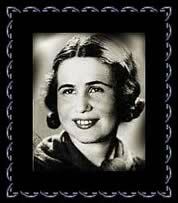 Irena Sendler does not consider herself as a hero. She never claimed any credit for her actions. ”I could have done more,” she said. ”This regret will follow me to my death.” In 1965 the Yad Vashem organization in Jerusalem awarded her with the title Righteous Among the Nations and she was made an honorary citizen of Israel. After the war she worked for Social Welfare; she helped create houses for elderly people, orphanages and an emergency service for children.